Hey comrades! 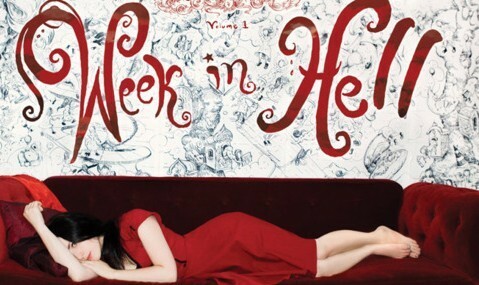 I’m going to be doing speaking gigs/ Week in Hell signings in London and Dublin next week! Deets below. I’m so very excited to see you. London is one of my favorite cities in the world, and this will be my first time in Dublin. FREE. Open to the public, but RSVP is mandatory. We’ll be discussing Week in Hell, art, politics, crowd-funding, elitism, and what it’s like to be locked in a hotel room. Ana is a brilliant arts journalist and I’m so honored that she’s able to interview me. I’ll be talking about art, money, fame, DIY, how the future belongs to self-sufficiant multi-media mutants, and why none of the gatekeepers know what is going on. If you ever wanted to ask me a question on how I do what I do, this is the place for it. This entry was posted in Events on April 22, 2012 by Molly.